The programs of the National Education, in France, propose a particular education, the History of the art. Aimed at analyzing and understanding works that have been done in the past from a symbolic and artistic point of view, it allows artists, their lives, their opinions and how they emerge through their works. It also explains the impact of a work on the public in a cultural, demographic or religious context. 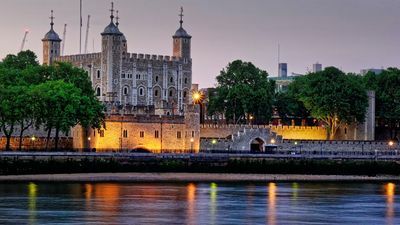 The Tower of London is little studied in France, it is a medieval fortress that lends itself little to analysis, unlike other works of the world heritage as can be the Eiffel Tower or the Taj Mahal. The remainder of this document provides research, information and ideas on the Tower of London, explaining its construction, its origins and the public's view of it. But before going any further, one must distinguish the curriculum because the National Education does not expect the same knowledge from the students according to the levels. Click on your level. Note that the difference between the primary, secondary and university levels in art history is not the format used to answer the questions but the depth of the answer. It means that the learning process is the same, regardless of the level of the student. So at the primary level you have to answer in the same way as for the higher level courses, but of course reducing the answers. For secondary and university students must complete their assignments with information taken elsewhere on the site. What is expected of the history of art is an analysis of the forms, techniques, meanings and usages proper to the work studied. As far as the Tower of London is concerned, it is possible to answer a few questions in a factual way, it is generally what is done in the course of time, but if he is to produce a text on the monument himself, he will have to base himself on these 4 elements of work. But above all it is necessary to start with some simple information, to locate the monument. The Tower of London is a medieval fortress in London, on the left bank of the Thames on the north side. It is to the east of the city, right next to the famous Tower Bridge, the famous rocking bridge of the British capital. It dates from the end of the eleventh century, it was built at the initiative of William the Conqueror. It was twice modified in depth: the first to surround it with a rampart and to endow it with royal dwellings, the second to surround it with a new rampart and to improve the defenses. Subsequently, it has changed very little, which makes it possible to see it today in the state in which it was in the Middle Ages. The Tower of London has long been the heart of the political activity of England. The one who mastered it controlled London, and who controlled London was the master of England. This done, we must do an analysis of the forms, which can be expressed as well. The Tower of London is a large military complex, it is hexagonal in shape and forms an approximate rectangle of 240m by 210, not counting the moat (ditch filled with water) or the glacis (flat space for vori to arrive the enemy) that surrounds it. It has three entrances: The main entrance, to the west, was protected by two towers and a drawbridge. The other classical entrance is the Henry III, a door that allowed to pass directly from the quay to the private apartments of the king. Finally the third entrance was the Traitors' gate, so called because it was reserved for the condemned. The Tower of London has two rows of ramparts. In the center, the space that is there is occupied by different buildings including the famous white tower, the dungeon. It was built first, in the eleventh century, and it was he who was the most frightening. Among the best known buildings is the Waterloo barracks, which contain the halls of the crown jewels, and several towers, such as the Wakefield Tower, the Beauchamps Tower, the Archers Tower, etc. This description leads naturally to the analysis of techniques, but this part is rather restricted because the tower of London is old, there is little to say about the techniques that allowed its construction. The Tower of London, initially, was only the dungeon that is known today as the white tower. It was built in pebbles from Kent, an area in South East London, and all the corners, which were to be strong, are made of Caen stone, a resistant and very white stone. The dungeons have very thick walls, they are nearly 5m at the base and a little more than 3 at the top. To climb a tower so high (it remained the highest in London for centuries) it was necessary to use wooden scaffolds that were superimposed one another until reaching the right height. At the time there was no crane to mount the building materials, so it was necessary to mount them on men's backs. The stairs have been the subject of special care. They are spiral (turning around a central axis) and should therefore have great precision. They were built at the same time as the tower, in the thickness of the walls. The entrance door of the white tower was located high, it is voluntary to avoid the attacks. The entrance being accessible through a wooden staircase, it could be removed in case of attack to make it more difficult to catch the dungeon. The techniques used to build this staircase were classic: It was a simple work of joiner who had to assemble the beams and create a ramp of practical and removable access. The rest of the Tower of London dates between the 12th and 14th centuries, for most of the buildings. At that time the construction techniques were classical. The towers and other guard-houses were of roughly squared stone bound together by a mortar of a quality sufficient to pass the centuries. In the 19th century other renovation works were carried out, as well as works to improve the defenses of the fortress, in particular to take into account the progress of the artillery. All this work was done in a neo-medieval style, a history not to mismatch the general aspect of the tower. The ditches of the Tower of London did not require many techniques either, it was enough to dig along the ramparts. It should be noted that there were two ditches at the Tower of London, the first having been refilled before the construction of the second rampart. There was no use of any special techniques, it was necessary to remove the earth with the shovel via platforms allowing to evacuate it. To fill the ditches with water, it was necessary to open a breach on the banks of the Thames. Their drying, in the middle of the nineteenth century, consisted of doing the opposite operation: Re-closure of the opening towards the Thames and evacuation of the mud. It was thanks to these simple but effective techniques that the Tower of London was built. Then we must ask ourselves the question of the significance of the Tower of London. Apart from this, it would be a strange question to ask the meaning of a fortress. But in the sense of a duty on the history of art, it is necessary to indicate there all that this tower signifies, its symbols, what it represents. And the first thing that comes to mind is strength. The Tower of London was built in order to subdue the people of London, to frighten it, to control it. It inspired, then, for the Londoners of the medieval period, fear. This feeling has continued throughout history until recently, but the more time passes, the less the population feels concerned about the tower, the tower losing its power. On the other hand, it remained a place for the exercise of power, and as such the Tower of London was a symbol of the monarchy, from the eleventh century to the beginning of the twentieth, when it lost its power. Moreover, the monarchy had left the Tower of London (physically speaking) since the seventeenth century, the premises being too old. If one looks at it, even in a photo, finds that the Tower of London is an impressive fortress, and closely it is this feeling is tenfold. The Tower of London is also a symbol of power, a feeling linked to the fear it inspires. Finally, this citadel is also associated with torture and death. It is common for people to associate the Tower of London with torture. This is due to several factors, beginning with the role of the nineteenth-century monks who voluntarily multiplied the false information about the torture that would have been practiced this castle in order to increase, as opposed to their forces against evil. It took no more to give a bad image. In truth, there was very little torture practiced here, over the almost 1000 years of the history of the Tower of London only a little more than 400 unfortunate suffered. Another factor that evokes death is the fact that here there was a place of execution by decapitation on which passed several great names in the history of England: 2 queens died there, for example. This is a historical fact, the Tower of London was used to kill, but only the high-ranking people had the privilege of dying here in peace. The other prisoners sentenced to death were executed in front of the crowd at Tower Hill, the esplanade just north of the Tower of London. Death, torture, and torture are images that, alas, to a large extent, are associated with the Tower of London. Finally comes the 4th part, the one on the use. This is probably the most part to be developed. The use of the Tower of London has changed little in time. The main reason for its construction is the need to control the population of London, with the aim of mastering all England. It was built at the same time as two other fortresses in the capital. Its use, therefore, was to control the population. Its corollary is fear. The purpose of its construction was to achieve enough to frighten the population to keep it under control. But over time the Tower of London has evolved. From the thirteenth century it was used as a residence for the king and his wife, it was at the initiative of Henry III that the fortress was greatly improved, it made there build towers dwelling, making a simple castle in palace. This function of dwelling for the use of the royal family was preserved until the seventeenth century, a time when the king abandoned this castle for other fortresses, the latter being really old. 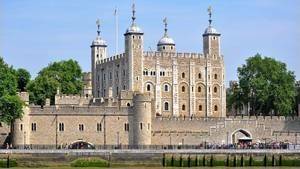 Another use that was made of the Tower of London is the prison: Most of the new towers built during both periods of upgrades had prisons in its basement, or on the ground floor. The Tower of London was never really a prison, but it had scattered cells that kept high-ranking prisoners. In the same vein, and as already mentioned above, the Tower of London was used as a place of execution and torture, but it was very rare. We must not forget another use of this monument: that of preserving the jewels of the crown. If France has not been able to preserve its lapidary heritage, it is not the case of the United Kingdom which has a large number of jewels, including three famous crowns. The biggest diamond in the world is mounted on a scepter, and all these jewels are visible in a room of the Waterloo barracks. If nowadays they are part of the classic tourist attraction, the role of protecting imperial jewelry is not to be taken lightly, it is an important function of the Tower of London. All that remains is to give a personal opinion of this monument. This is more difficult to propose because it depends on how the student perceives it. Does she find it beautiful? Well proportioned? Great? This is the most personal part, so it is a part that must be done entirely by the student. Difficult to give guidelines for the study of the Tower of London when it comes to giving one's personal feeling to this monument, simply because if it is personal, the feeling can not be reproduced as it is for d 'other. However I can give my own feelings about it, it can serve as a basis for work. The feeling I put forth about it is greatness. Size from a spatial point of view, but also historical. The Tower of London is large, it is a fact, but beyond the terrain it occupies, it is especially the quantity of places to see that makes its size. Between the two ramparts, the quays, the towers, the keep, the chapels, etc., one can spend an enormous amount of time in this monument without actually making a tour. You have to know that each turn has several levels, and that there are different things to see everywhere. Nothing but the white tower is the example of its greatness, it is not only a great building that is worth a look in itself, but it is also a particularly interesting museum on the history of the England, with coins coming from all over the British Empire. From a historical point of view the Tower of London is great by its age. It is a monument that has gone through the ages, from the beginning of the previous millennium to today. This constancy allows us to see the history of the country only through it, without the monument being a perturbator in itself. Moreover, the Tower of London was at the center of British history, especially until the nineteenth century, so we can rely on it to understand it. Few other buildings can claim such a rank. When I am in the Tower of London, when I see images of it, when I read the stories that take place there, I can not help but feel a sense of grandeur, it is really the one that emerges, about me. Whatever may be said, and despite the military function of such a building, the Tower of London is indeed a work of art.